There are 2 parts to hold any permit or licence. The first part includes all of the training that takes place in the aircraft. Everything from learning to taxi the airplane to your final flight test falls within flight training. The second part covers all of the required knowledge to pass the final written examination. The ground school covers all required areas including Air law and airspace, Engines and airframes, Meteorology and navigation, Flight Operations, Flight Instruments and Human Factors. The aim of Ground school is to help you understand all the theoretical information that goes along with a pilot’s licence. Typically Groundschool is an in class session with multiple students. Future Air prefers to keep class sizes small, normally less than 10 students, to ensure a comfortable learning environment and ample opportunity to ask questions. The Transport Canada minimum stated time for the Private Pilot License course is 40 hours; however Future Air feels that this is insufficient to properly cover all of the required subject areas so we have increased the time on course to 60 hours. To this extent our custom designed Ground School course exceeds the Transport Canada stated minimums, this also means that if you are absent for a class, you may still meet the minimum requirement. There is no ground school requirement for the Recreational Pilot Permit although many students prefer to take the Private Pilot Ground School course to help prepare for the written exam. Our courses generally run twice a week for a total of 9 weeks. We find that most students prefer evening classes however we do run weekend courses when the demand exists. In order to gain the most from Groundschool we have designed and modified the Ground School syllabus over the past 16 years to achieve this goal and to ensure that you gain the most benefit from the material. Do I have to take Ground School before I start flying? No, you do not have to take ground school before you start flying. In fact we recommend you start flying first. In order to write the Transport Canada written exam and fulfill the ground requirement of the license or permit, you must have completed 10 hours in the aircraft. It is beneficial to have this 10 hours complete before the end of your ground school course, this will reduce the time between finishing the course and when you are eligible to write the exam. Remember, without review, 60% of new knowledge is lost after just 30 days. 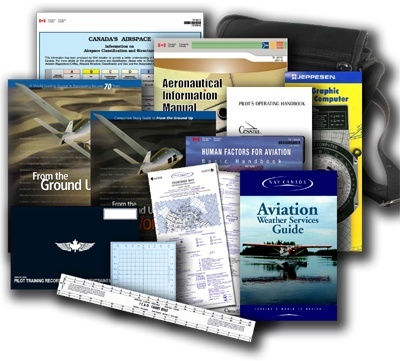 How old do I have to be in order to start ground school? 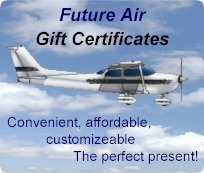 Future Air has had students in the past who have completed their ground school exam and flight test and on their 16th birthday we submitted the application for their license. They had a pilot license before a driver’s license. At Future Air we feel that there is difference between meeting the minimums and ensuring a complete and thorough understanding of the required material. To this extent our custom designed Ground School course exceeds the Transport Canada stated minimums.